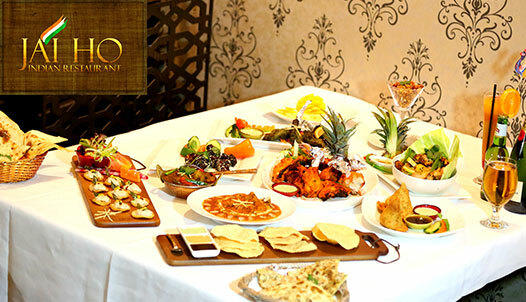 Jai Ho Indian restaurant is a destination for the finest tradition Indian cuisine. Family owned and operated business- Jai Ho has been designed with passion, elegance, and attention to detail. Jai Ho believes in your quest for good food the victory shall always be yours at Jai Ho. Our excellent chefs unite to create the traditional Indian dishes from all corners of India. Thank you guys for organizing our daughter’s birthday so wonderfully.. it’s such a good memory for our lifetime.. we really appreciate your effort and food was so delicious.. all our guests appreciated a lot..
I’ve never put something like this in writing before so don’t take this lightly. Your food was absolutely amazing, the four of us who ordered delivery thru ”eatnow.com.au” (first timers) were 110% satisfied with the quality, servings and flavours. Defintley the best Indian I’ve ever had and I frequent many Indian resturants. Well done and thank you very much, keep up the good work, you’ve now become our regular Indian resturant of choice!!! I have been going to Jai Ho in Richmond after each Melbourne Storm game with Roh, MJ & Imti for about 3 years now. The best Indian food ever & the best service too. We have often thought of having a meal elseware….But we are drawn to Jai Ho like a magnet every time. Very special. When it comes to deliciously flavoured and aromatic food, Indian food tops the charts. And add to that, the vibrant colours of the variety of dishes that Indian food Melbourne has to offer makes the entire experience more exciting. Indian cuisine is continuing to gain popularity globally with Indian restaurants popping up all around the world. Indian cuisine is seen to be an assortment of traditional spices, rich herbs and sauces. While Indians prefer to have their dishes on the spicy side, most global fans like to take it easy in terms of the spices blended in the dishes. Melbourne being a melting pot of cultures and cuisines and has witnessed a growing love for Indian food and fine dining Indian restaurant Melbourne. And this is probably why Indian restaurants Melbourne seem to be flourishing as more people discover the variety and textures of authentic Indian cuisine. The inspiration for starting our Indian restaurant in Melbourne, Jai Ho Indian Restaurant came from wanting to be part of Melbourne’s culinary offerings and adding to its rich multi-cultural cuisine heritage. We offer authentic Indian food in Melbourne. Jai Ho Indian Restaurant Melbourne is a place where traditional tandoori techniques meet contemporary Indian style. This dining Indian restaurant Melbourne offers authentic Indian tandoori cuisine and has won awards for being best Indian restaurant Melbourne. Jai Ho Indian Restaurant is a family friendly restaurant located across many Melbourne suburbs, including Hoppers Crossing, Hawthorn, Collingwood and Richmond, and is at the hub of the Indian community. What started as a humble beginning in 2011 was soon bustling with families and friends enjoying a good meal, parties and functions at our Melbourne Indian restaurant. To give our customers a traditional and ethnic feel we created inspiring interiors at Richmond and Hoppers Crossing outlets, with Indian art, handmade furniture and even a ‘Baithak’ (traditional Indian low seating). Jai Ho Indian Restaurant is a family run business which is how we manage to be true to our traditional recipes, and continue passing it on to our future generations to continue offering authentic Indian food in Melbourne. Living up to the honor of being the best Indian restaurants in Melbourne, we are committed to the freshest, finest produce and to creating an exquisite and memorable experience for our guests. Jai Ho Indian Restaurant is a trusted name in the food industry with a massive and loyal customer following. Jai Ho Indian Restaurant is a must visit to all those who wish to experience the authentic taste and colors of India. Come; discover the rich diversity of Indian cuisine at the top Indian restaurant in Melbourne.